Most sociology majors get experience doing sociological research in the Senior Seminar (Soci 495). In addition to Soci 495, the Department has a number of excellent opportunities for undergraduates to be involved in research. Sociology students are eligible to gain research or teaching experience in the Department’s USTARS program. Sociology majors (and, in special circumstances, minors) are eligible to be USTARS. Faculty or advanced Ph.D. graduate students can sponsor USTARS assistants to work with them as teaching or research assistants, for credit and/or pay. The faculty/graduate student sponsor and the interested undergraduate student submit a proposal outlining the assistant duties and the goal of the partnership (e.g. data analysis, preparing a new course, collecting data, literature review). There are academic year and summer opportunities. Visit the advisor or the undergraduate chair for more information. Sociology students are eligible to participate in University of Nebraska-Lincoln’s UCARE program. Funded by the Pepsi Endowment, UCARE supports undergraduate research with faculty members engaged in research at UNL. Undergraduate research assistants are funded with a monthly stipend. Undergraduate Research Experience (Soci 396) is an option for students who want to work directly with a faculty member on a research project and earn credit for this work. Students identify a faculty member to work with and discuss a project to work on during the semester. Doing Sociology (Soci 310a & Soci 310b) is a two-semester course that gives undergraduates an intensive research experience in the local community. It is a useful course for those interested in community activism as well as those interested in research. The topic of the course changes from year to year. Students who are interested in taking the course, which runs from August through May each academic year, should consult the course description bulletin for Fall pre-registration. Undergraduate Thesis (Soci 399 or Soci 399H) is an option for students who want the opportunity to write a major paper on a topic of their choosing. Offered as both 399H (for students who are in the honors program or intend to graduate with honors) or as 399 (for good students who don't qualify for honors), this option allows students to take 1-6 credit hours. The student identifies a project and then seeks to find a faculty member who will agree to supervise the work. This may be a faculty member with whom you have had a good experience in the past, but it might also involve developing a new relationship with a faculty member whose own research is in the area of your project. Start by discussing your plan with a faculty member whom you know and get some advice on which faculty members would be a good match. 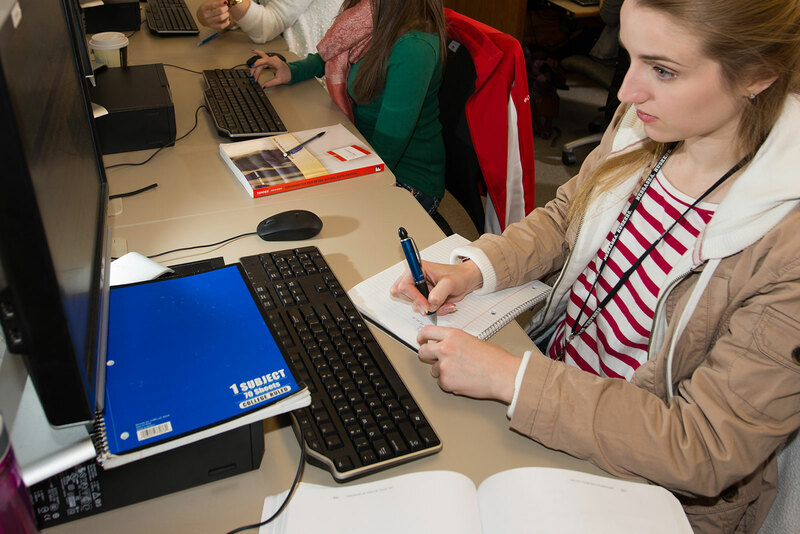 The Bureau of Sociological Research has excellent data sets for student research. In addition, the Bureau collects data each year from a representative sample of adult Nebraskans. This ongoing project is called the Nebraska Annual Social Indicators Survey (NASIS). Many students have used these data sets for research, usually done for credit through Sociology 399 (Advanced Readings) or for course assignments. If you want to use some of these data sets, your first point of contact is your course instructor. The Bureau often has paid research opportunities for undergraduates to work as telephone interviewers or in other research capacities. If you are interested in working for the Bureau as a part-time job, stop by their offices at 907 Oldfather Hall to learn what is currently available.